According to Webster’s Dictionary, globalization is the act, process or policy of making something worldwide in scope or application. Adobe’s globalization team has a slightly different interpretation, claiming that globalization refers to a broad range of engineering and business development processes necessary to prepare and launch products and company activities globally. Either way, globalization brings your organization, products, and services worldwide, helping you to grow and expand by delivering people goods and services that might just be missing from new markets. Maybe you have heard the expression “globalize your organization but localize your product.” This is sage advice. For field service organizations looking to globalize, your business development, marketing, and language needs to cater to the region you are expanding into. Whether it’s the UK (where s replaces z and an “elevator” becomes a “lift”) or Ecuador, each region has different sales processes, different traditions, and different means of communication. These must be taken into consideration before your organization attempts to take over the world (figuratively speaking). You may be thinking to yourself that globalization sounds awfully complicated, spreading operations around the world but having to localize marketing and services to the region. Yes, globalization takes work, time, and precision, but there is no better time to take your company worldwide. Here are four reasons why the time is right to globalize your field service organization. Perhaps this makes you think of the endearing ride at Disney World or the song that gets stuck in your head. But thanks to the ever-changing and advancing technological landscape – and cloud computing in particular – the world has in fact become smaller (not from a geological perspective of course, but from a communication and access point-of-view). Cloud computing gives organizations the ability to access their software solutions, organizational data, and more from anywhere, on any device, inexpensively. Deployments and collaborations take half the time, making globalization easier than ever. A competitive edge is necessary to maximize market share or in some cases stay afloat in the cut-throat service industry. Another reason why globalization should be appealing to you now, when the technology supports it, is to stay one, or maybe two steps ahead of your competitors. Most organizations like to dream big so it’s only a matter of time before the next service provider swoops in to dominate new regional markets. Make sure you are ahead of the curve. Globalization also allows you to explore new verticals and emerging markets. Your service may serve a purpose in one where it doesn’t in another. Anywhere you travel in the world, whether the language is Spanish, Mandarin, Finnish or Urdu, service providers are necessary and essential to life. The world needs field service engineers for humanity to enjoy basic physiological needs such as gas, electricity, and water. These things help to sustain human life, and field service engineers help to facilitate this. Much of the world is also lucky enough to enjoy added luxury services like cable TV, insurance, and retail warranties. Field service organizations already transcend borders and language barriers with the mission of providing people worldwide with the best services and customer experience. Globalizing now makes perfect sense for organizations like yours that aspire to set the standard for your industry. ServicePower has envisioned the concept of the global service organization since its conception, and has continued to invest in its product platform to allow organizations to grow globally supported by their field service management solution. Most recently, ServicePower has expanded further into the European market, implementing extensions to its German and Czech solutions, as well as in more unconventional markets such as Puerto Rico. ServicePower’s scheduling product – ServiceScheduling – supports travel calculations for most of Europe, the UK, America and Canada, and has recently upgraded to support travel optimization in Germany. The product also provides application translation into multiple language including German. Additionally, their mobile product – ServiceMobility – embraces full localization, including language, dates, times, and user information. If your software solutions already support global processes, your “world takeover” ambitions are that much simpler to achieve. The world is at a pivotal point where technology can bring customers almost instant gratification. Advances such as M2M and artificial intelligence make your job as an organization that much easier, and smaller businesses can appeal to customer bases with a fresh perspective on the service industry. Take the leap today and become not just a leader but a world leader in the service industry, for others to fall in your footprints. It’s not as far reaching as you might have originally thought. 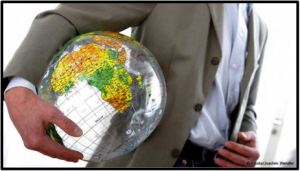 Planning to globalize your field service organization? Start with a field service solution that supports growth and expansion. Email us at sales@servicepower.com to request a demo today.